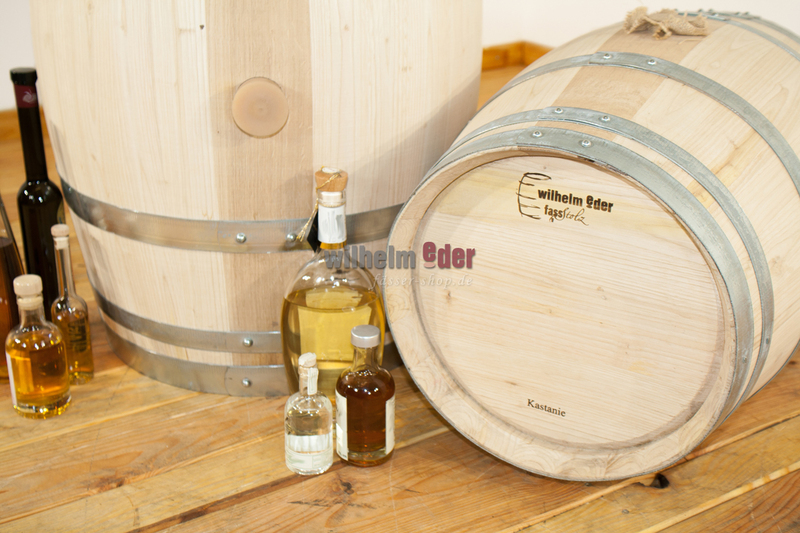 Product information "Chestnut barrel 30 l - 225 l"
We produce the chestnut barrels by ourselves under our own brand Eder - FassStolz®. 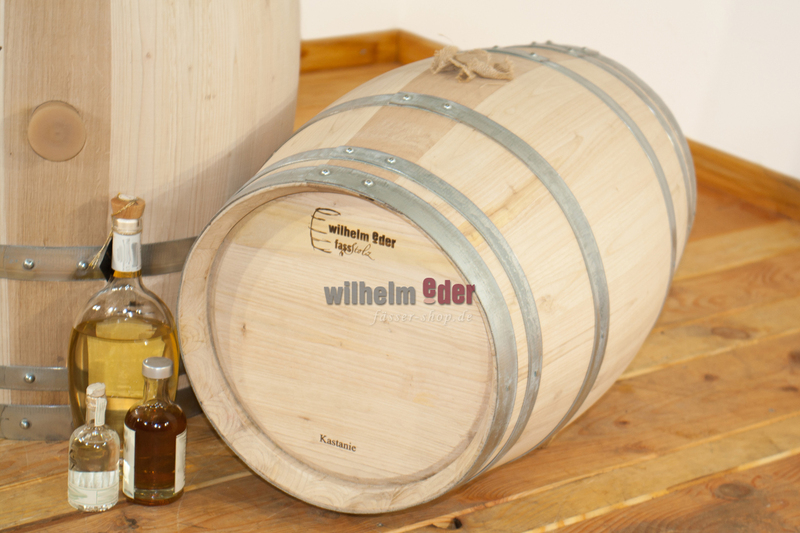 Our chestnuts - one of the most valuable chestnut stews in Germany come from the region of Wasgau / Trifels. 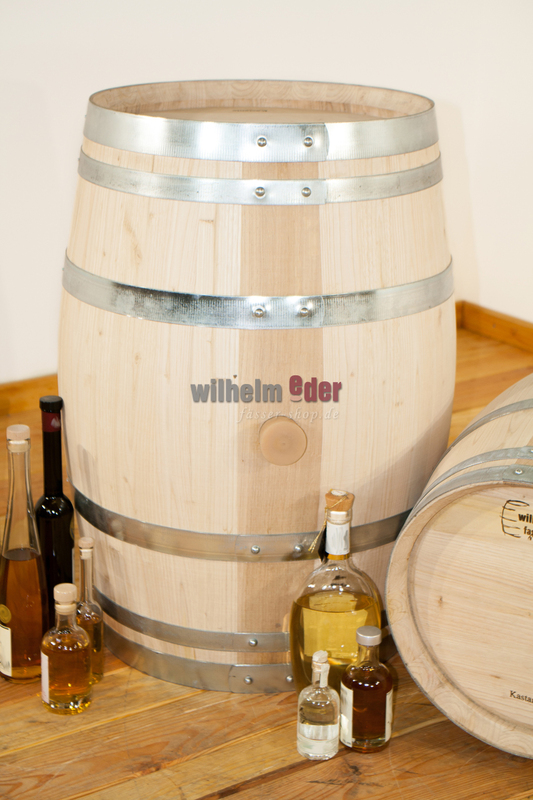 Chestnut wood was already used in the 18th century for the storage of wines. It is characterized by a fine natural sweetness, pronounces the fruit body of the wine and controls little tannin to the wine. 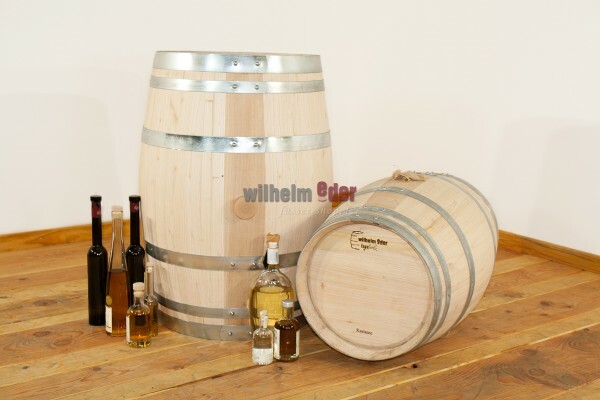 In the distillate sector chestnut wood is now particularly popular for apple distillates but also cherrybrandy and "harder" brandies such as Korn. The barrels are toasted inside (over chestnut wood fire) and left outside raw. 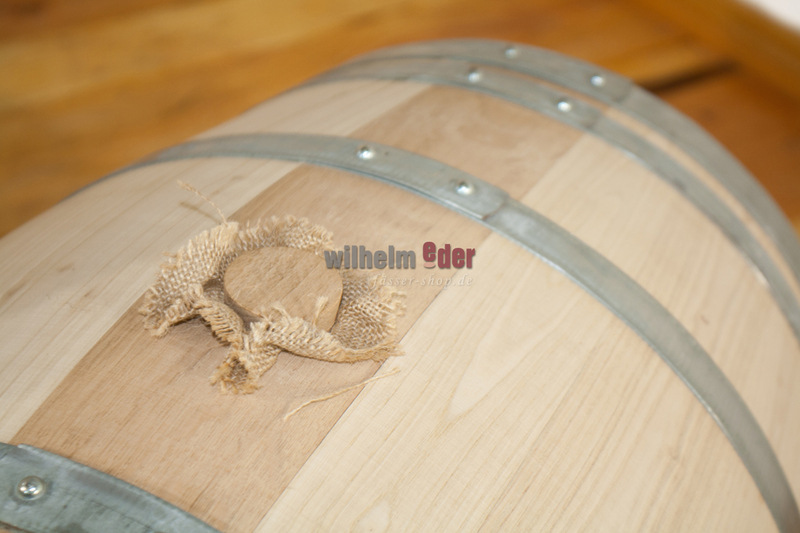 The bung stave is made of oak to ensure stability. 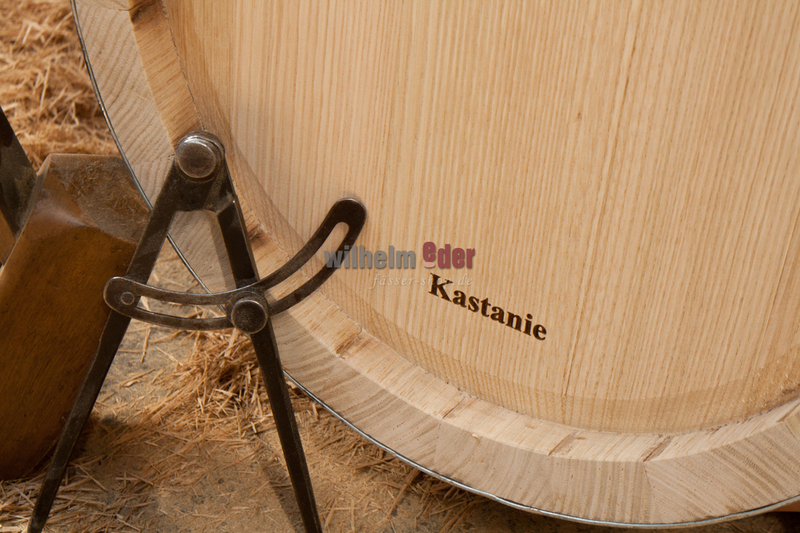 The bung stave is made of oak to ensure stability.